All the rooms in your home are in need of storage spaces. This is even truer for your kitchen area. 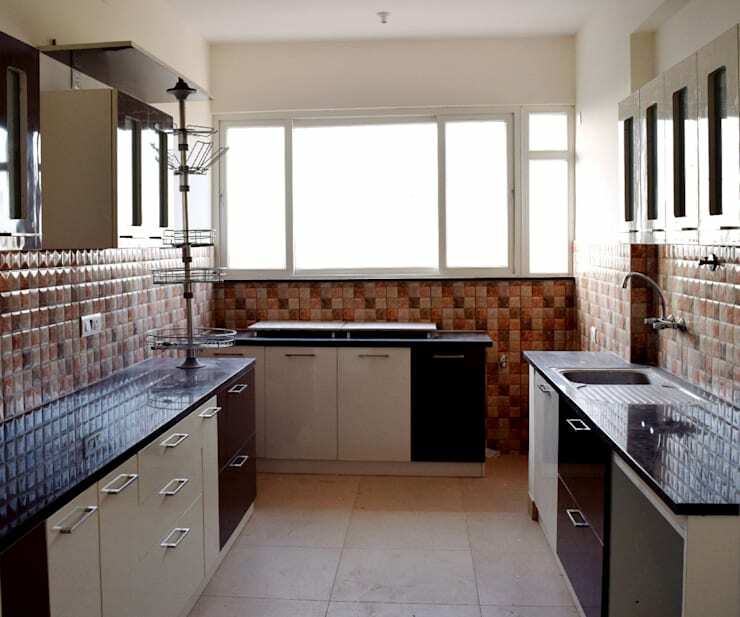 The kitchen area is also the area that the family uses often, as this is where cooking takes place, and are often the center of family life. It is therefore, necessary for it to be attractive and practical as well. 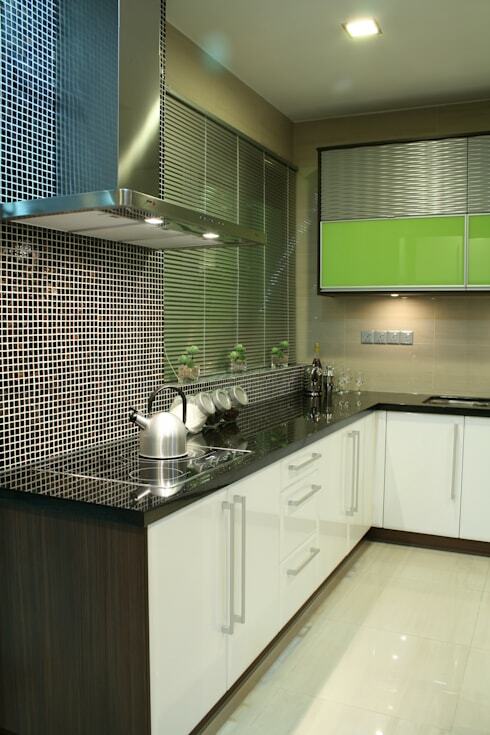 What makes it attractive, are the cupboard spaces that the interior architect would design and install. 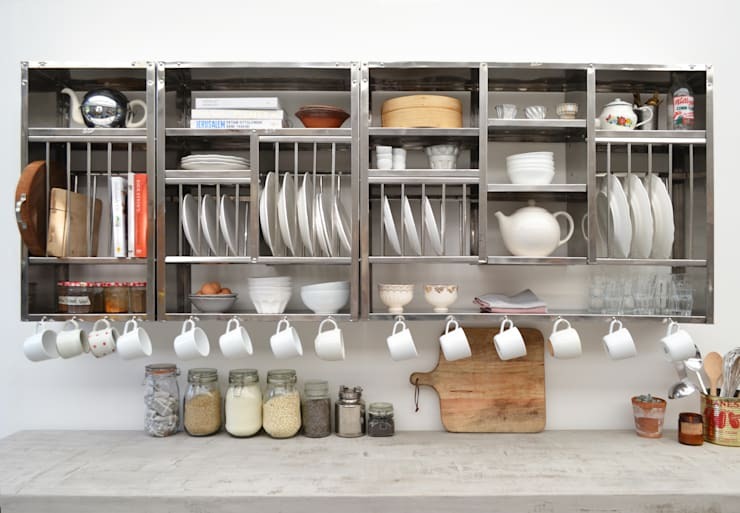 A metal storage wall rack will save a lot of space in the kitchen. It is easy to access and, because it is open, the display of your crockery is easy to see, and can be pleasing to the eye. These shelves are modular shelves, and as such you are able to modified to suit your needs. You are also able to add spaces as you wish. The best metals to use are chrome or aluminum, as these would not rust, making it durable. Over the years, cutlery storage spaces always took on the form of drawers. These drawers are out of sight, and a great idea if you prefer a minimalist style. 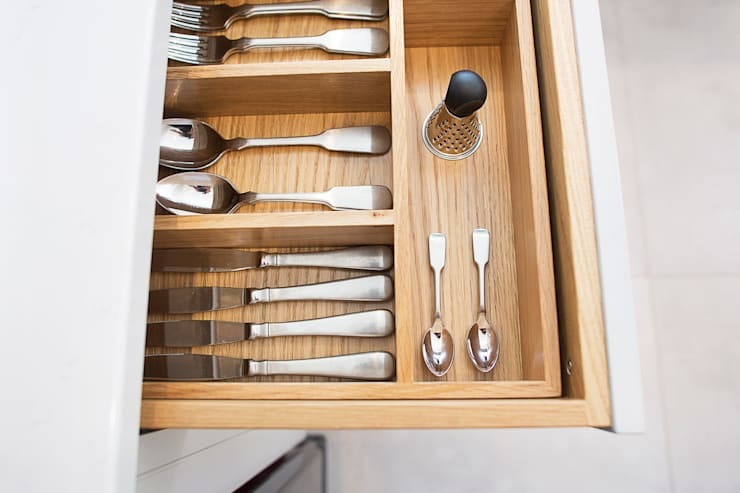 The best idea is also to have the drawers with compartments for each of the different types of cutlery you need in the kitchen – for example, for the knives, the forks, the spoons, and so forth. This will allow you to immediately find what you need. Easy access to your cutlery is key. You do not always want to hunt for particular pieces if you are in need of it. You could also have a special draw for the pieces for your formal occasions or parties. 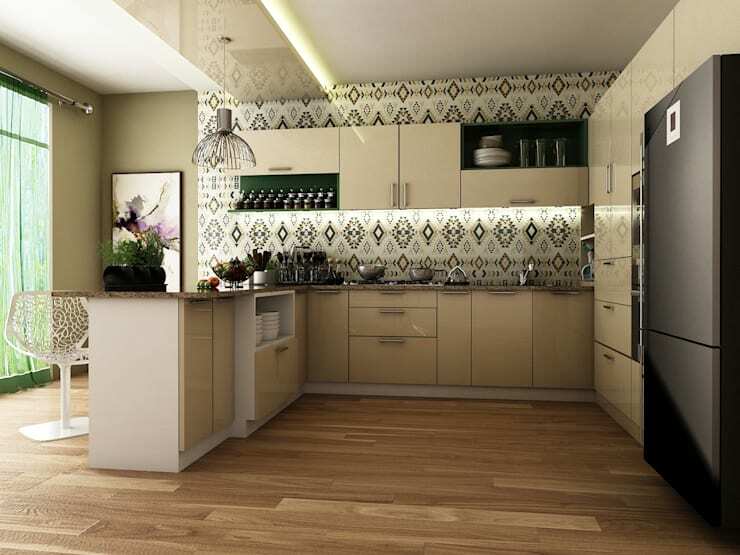 Minimalism means clean and tidy areas, which mean that one can hide cabinets behind doors. This is also an opportunity to place shelves in the doors for the spices. The inner shelves could be deep enough to hold your monthly and daily groceries. Some people enjoy cooking, and have cookbooks for this purpose. In order to have easy and immediate access to these books, one could utilize the center island in the kitchen to store the books. It would be easy to have this shelf installed just on the other side of the stove. In order to have a neat, and tidy kitchen, one of the best ways is to have your stove built-in. 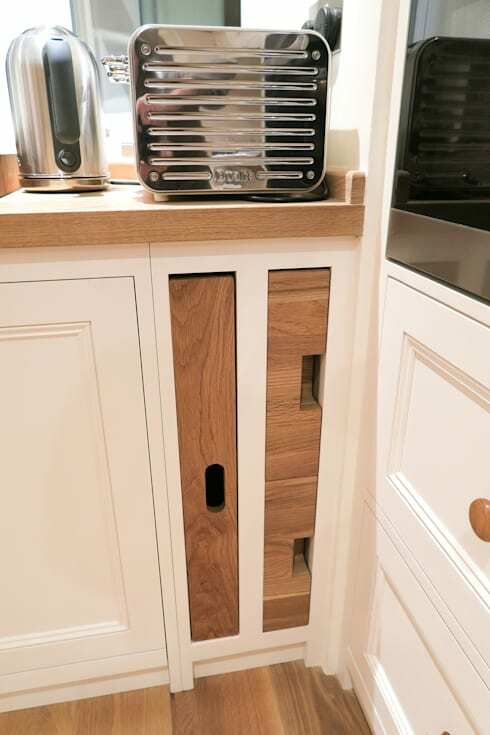 This could be a simple cabinet for your undercounter oven, stove hob, and extractor fan to fit into. The same applies to the eye-level oven. 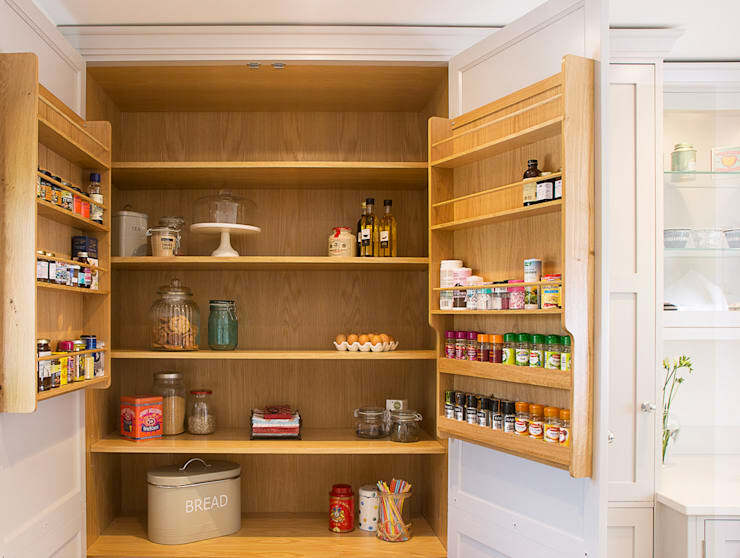 A storage space within your cabinet spaces will create a finished off area that appeals to the eye. You can also place your under counter stove in an island in the kitchen, as suggested by the under counter cookbook shelf. 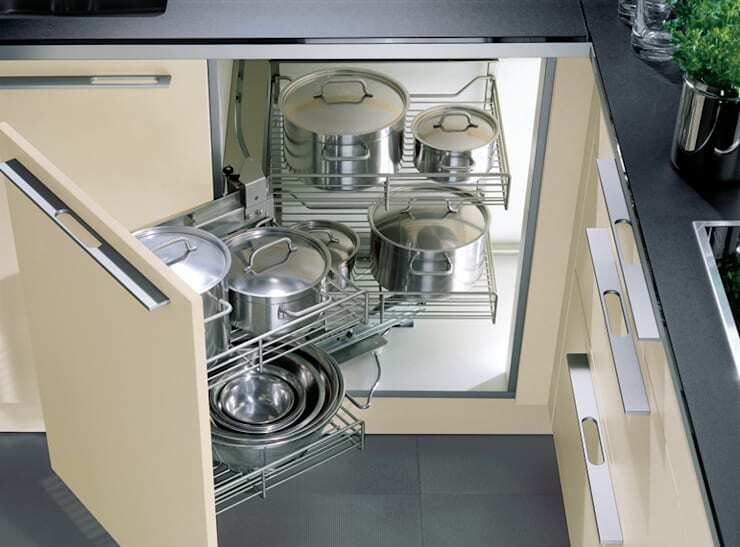 As with your crockery and cutlery – that is, your tableware – you could place your cooking utensils in deep drawers. This is ideal, as you could store them together with their lids. If you store them in under counter cabinets, you could use the doors as storage spaces for the lids. For easy access and use, it is advisable to place these near your stove area. Breakfast time can get very busy. Everyone is at home, and needs to eat before school or work. Everything has to happen quickly and, thus, preparation of food has to be quickly too. 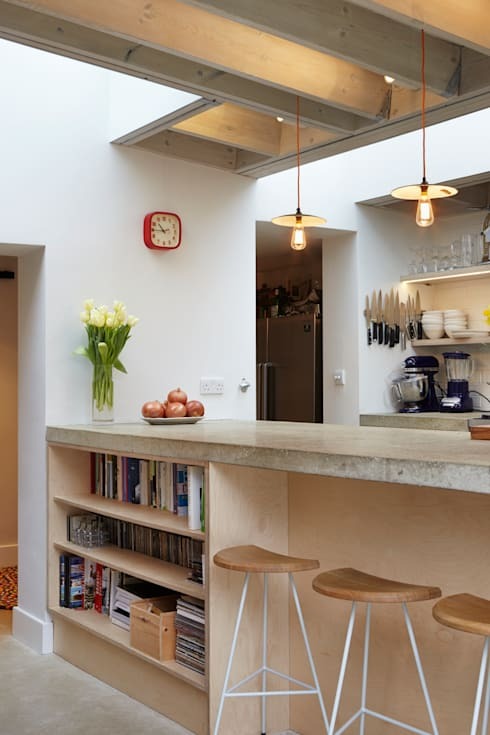 Shelves above, and on either side of the stove will give quick access to everything that you need. The shelves need to be on either side, as you need to have your extraction fan fitted too. 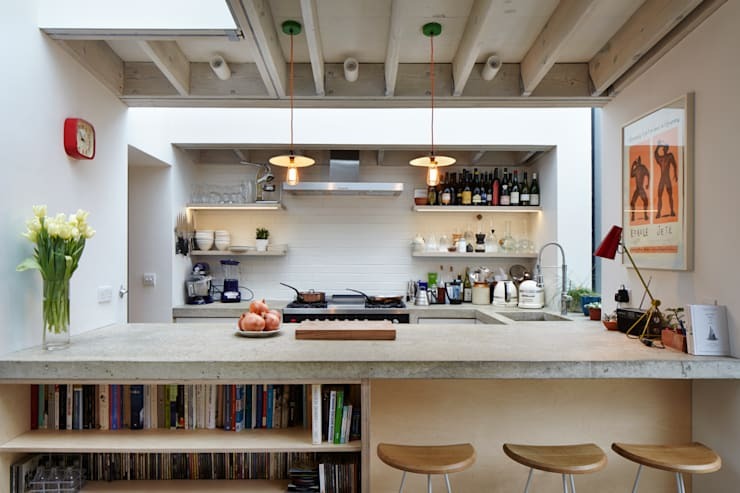 If the idea of using metal storage racks does not appeal to you, you might want to have open spaces in your cabinets to store your utensils and crockery. If you plan this well, it will be aesthetically appealing. It is important to look after your timber too and, therefore, you should always dry wet utensils thoroughly. The good thing about the contemporary world is that you can find cutting boards made out of plastic or wood. People often do not know how to store these boards. An innovative way to store them is to create a corner space with slots in, where you can simply side them in, and out easily. For all wet ingredients, you do need a fridge as well. The fridge could also be built-in. You can place the microwave oven, and other electrical appliances a special storage space on the counter-top to ensure a clean and neat space at all times.